Athleisure clothing can be super versatile, and take you from the gym to the office to happy hour to Netflix&wine without changing your clothes. Even folks who aren’t gym rats are rockin’ athleisure clothing simply because it’s comfy and flattering. Plus, you’ll always be ready to chase after the kiddos or sprint to catch your bus! Athletic-style loungewear has become more and more popular the past several years. It’s official: leggings are now pants (at least we think so)! Most stretchy, form-fitting, workout-worthy garments are easy to find, and cheap. A little too cheap. Fast fashion is the fashion industry’s way of selling more and more, and getting you to believe you’re always a season behind the latest trend. Ever feel like those leggings you love are now suddenly “out of style” and the big brands have something new and “gotta-have-it” already? That’s fast fashion. You pay less because workers aren’t paid enough: garment workers are some of the lowest paid workers in the world [source]. You pay less because the environment pays for the company’s pollution and pillaging. It’s not sustainable and it’s horrible for our planet. Whew! Deep breath. There’s an alternative. You can still be comfy and stylish while sticking to your convictions and supporting something better: ethical fashion! 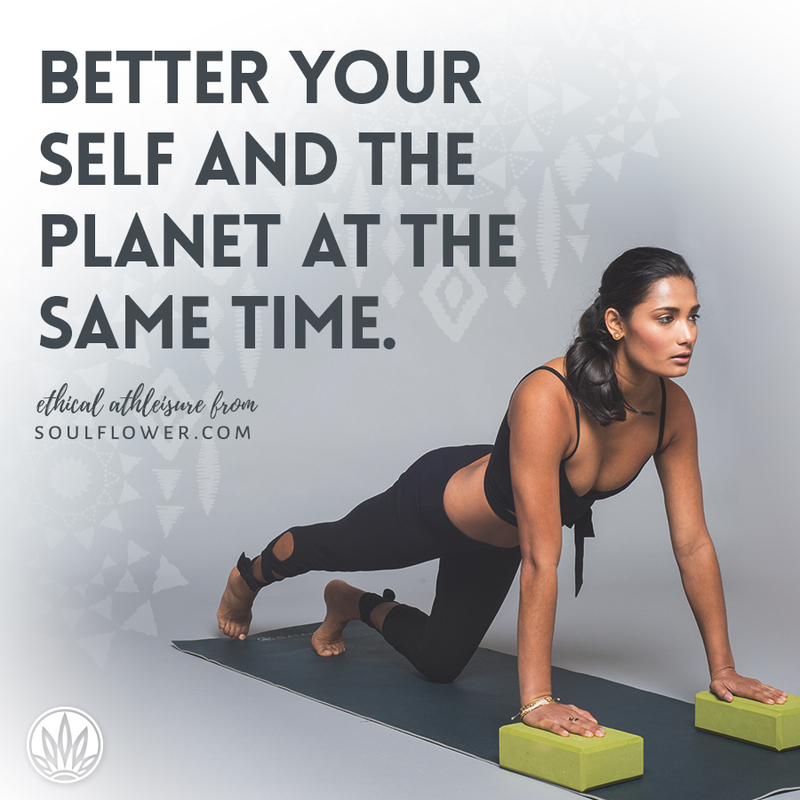 It starts with being just a little more mindful the next time you make a purchase. 1. Aligns with your values. Like a good Mountain Pose, aligning your mind, body, and soul feels om-so-good. Part of living a healthy, mindful lifestyle is doing what feels good and working to align everything in your life with your values. Your workout/Netflix clothes are included! Choose sustainable fashion made by companies who are actively trying to make a difference in the world. Care about women’s rights? Make sure the (85% female [source]) garment workers are getting paid a fair wage and employed in safe working conditions. Want to support your local economy? Buy clothing made closer to home. Concerned about toxins in the water? Then look for organic cotton instead of chemical-doused conventional. 2. Can go the distance. Are your clothes in it for the long haul? Will they last longer than a season so you can consume less? You can cut the resources cost of a garment 20% just by extending its lifetime an additional 9 months [source]. Organic cotton blended with spandex helps the garment retain its shape and allows you to go longer between laundering. Thoughtfully-designed, well-made garments means they won’t fall apart after one washing and you can wear ’em til you wear ’em out. Not just until next season. Even if you don’t swear by eating only organic food, your cotton definitely should be! It’s less about how it affects you personally and more about how it affects our planet and environment (that includes people, of course!). 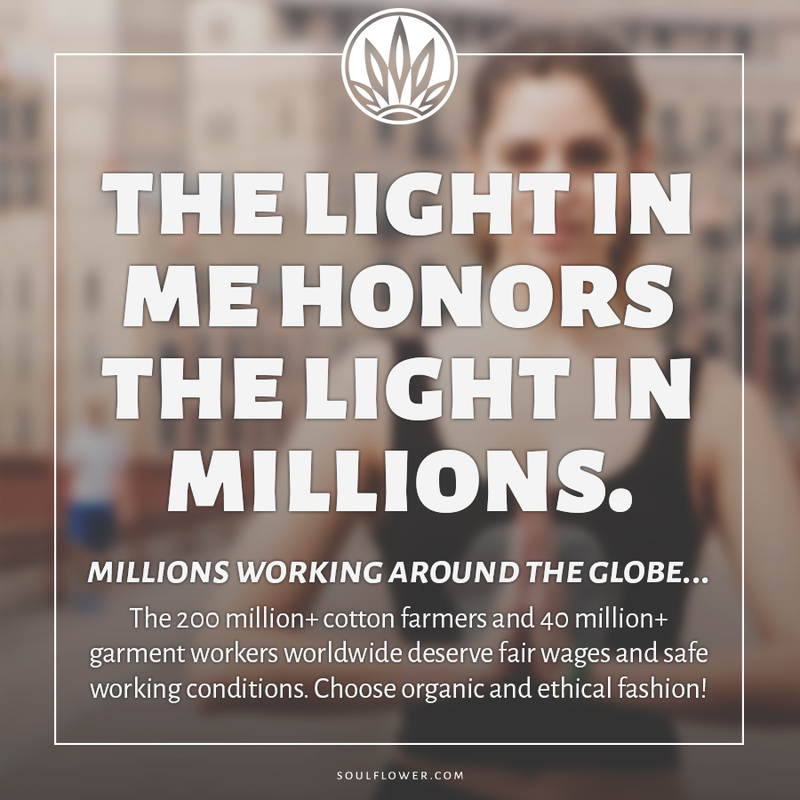 Non-organic cotton is the most pesticide-intensive crop grown on the planet [source] and poisons millions of cotton farmers every year [source]. That’s a good enough reason to choose organic. Your clothes can express your unique personality and inspire you to get movin’ (or get veggin’). Part of what makes you awesome is the fact that you care about the planet and the people on it. So it only makes sense that your clothing reflect those values and tells a better story. Don’t be shy to be you! Go bold and wear graphic tees, or get funky and rock printed leggings. 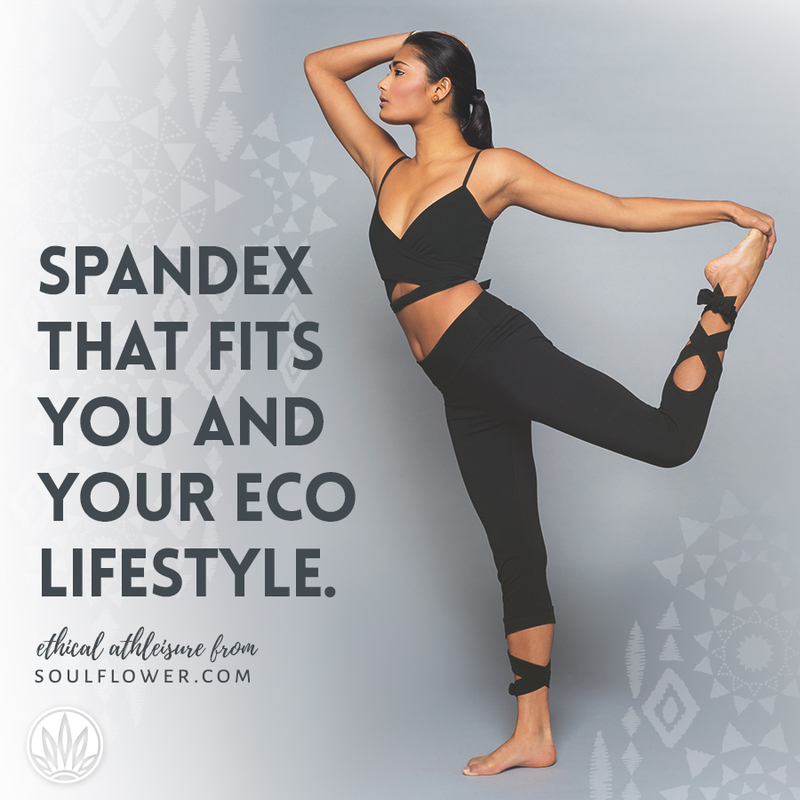 Choose ethically-made styles that fit your personality, so you can feel good inside and out! What’s your favorite athleisure item that you’d like to start buying ethically? What’s your favorite ethically-made item in your closet? Let us know in the comments below… we’re always looking for new ideas for comfy threads that we can create next (ethically-made, of course)!